Payment of Insurance should never be missed and hence this critical element has been taken care at Cyberplat. 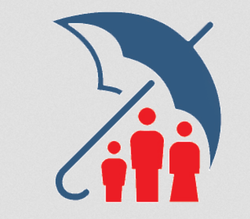 Now, we offer services to major insurance providers to collect premium in a single window, to their consumers. Payworld provides its customers with the facility to pay all kind of Insurance premium of various Companies. online in the payworld centers. Providing insurance premium payment services for LIC Insurance, ICICI Prudential and TATA AIA. It may sound like a tedious job, but calculating your car insurance premium is very simple. With the help of the internet, you can deduce the approximate amount of your auto insurance premium in just a few clicks. - Pliant Services has now become the premium payment point for major insurance companies like Birla Sun Life Insurance, ICICI Pru Life Insurance, IndiaFirst Life Insurance, Tata AIG Life Insurance. One can simply walk in and pay their respective premiums. We start new services such as bus booking, movie tickting, railway regervation. Hotel booking, air ticketing, koisk banking, lic and other insurance payment, dth box selling, utility bill payments and other more things. Our customer get large benifits with us. Payrupees ensures that while you travel you travel in real style; tension free, stress free, hassle free..... relaxed in every way possible. Payrupees has tie-up with TATA AIG, and icici prudential are trained to handle insurance queries and insurance to customers. Put your business with catagories, express it with ease. 5 page website(3 static+ 2 Dynamic), Responsive(mobile friendly) website, Social media integration, 10 images, 2(5min) video, Google Map, Advance contact us form.